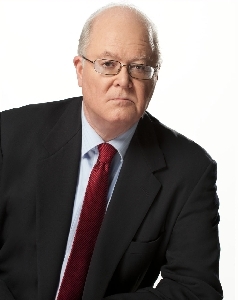 NEW YORK, Oct. 15, 2018 /Christian Newswire/ -- Catholic League president Bill Donohue (photo) comments on reaction to the movie about Philadelphia serial killer Kermit Gosnell; it opened on Friday. The reviews curiously noted how liberals would not appreciate this film. The Los Angeles Times said the movie "never loses sight of the choir to which it is plainly preaching." Forbes called the movie "A Feature-Length 'Law & Order' for Conservative Christians." NBCNews.com called it a "conservative-backed dramatization of the story of Dr. Kermit Gosnell. Why are liberals not interested in a movie about a man who exploits--even kills--women? Why are secular liberals not as interested in this movie as conservative Christians are? If this is a "conservative-backed dramatization," what would a "liberal-backed" one look like? After all, a dramatization about a serial killer shouldn't turn on ideology. It's not as though liberals abhor violence--many applaud Antifa. It's violence that is integral to a cause they champion that they prefer to ignore.